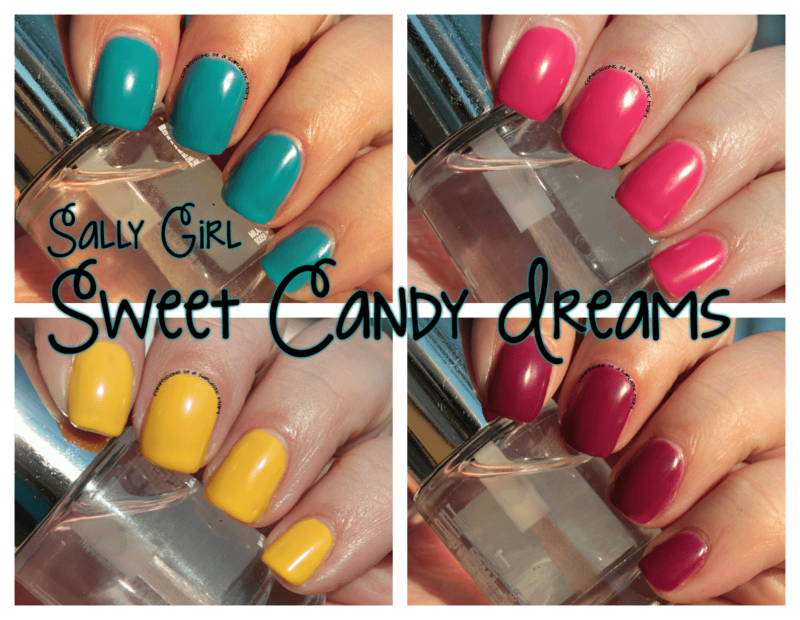 Sally Girl Sweet Candy Dreams collection! I ran into Sally's on Saturday to get a new glass file and ended up snagging the new Sally Girl Sweet Candy Dreams collection. 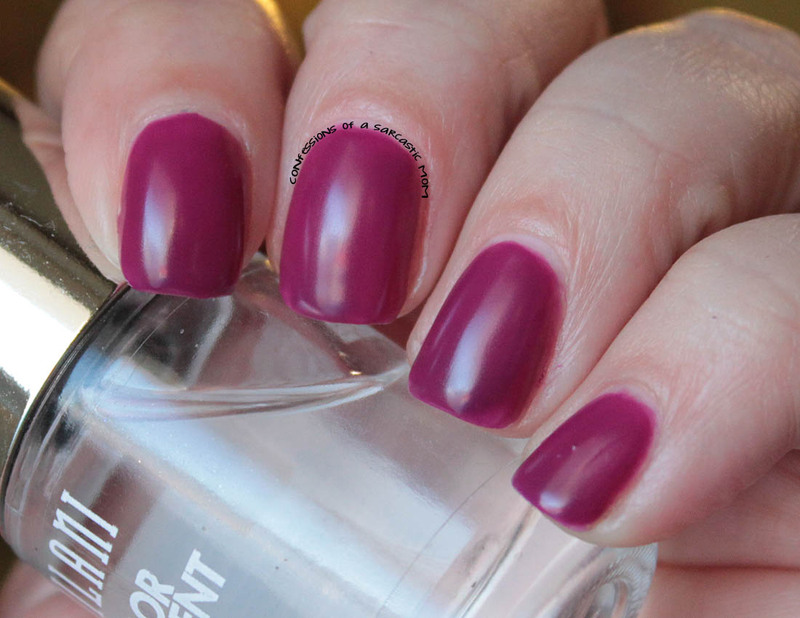 All four polishes in this new collection are jellies, but they are on the thicker side - and I'm in love with them! 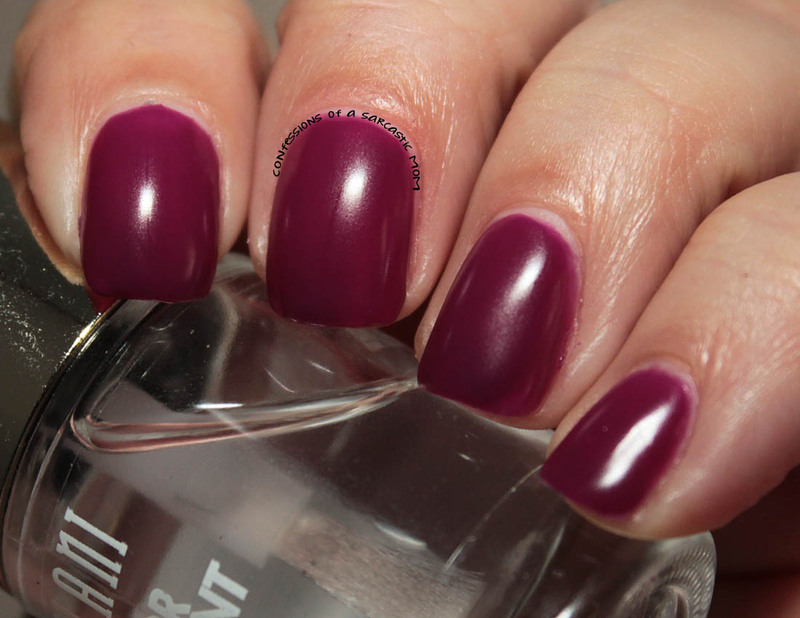 Like I mentioned, they are jellies, and I used three coats of each for my photos. They dry to a neat waxy finish. Let's start with Candy Coated, a fabulous bright, sky blue! This one is hands down my favorite of the four. While they are all nice, this one stole my heart. Unfortunately, it did stain. But only on one finger and only near the cuticle. I think it had a little to do with how I took the polish off, because the other nails were all just fine. 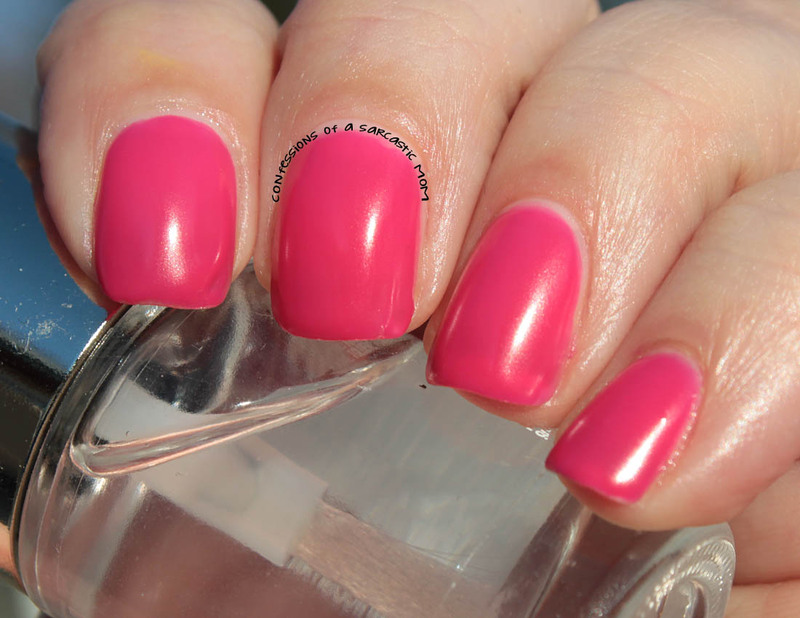 Moving on, Gummy Bear is a deep pink jelly. I really like this one. It kind of reminds me of melted Jolly Ranchers? I don't even know why haha! I just love how squishy it looks. I need to try it with some jelly sandwiches. 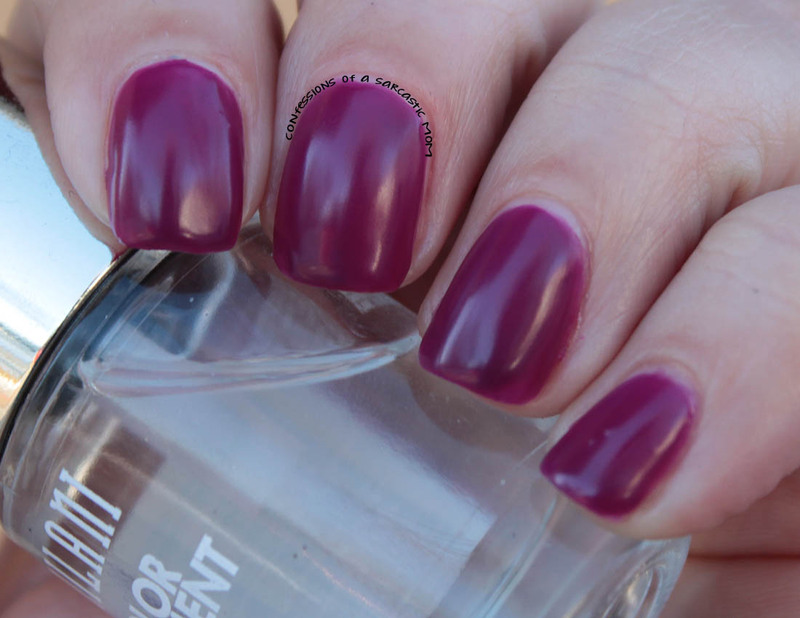 Next up is Grape Taffy, a nice purple shade, is so pretty in this finish! This one looks like melted candy, as well. I can tell, on my ring finger, I didn't quite get the corner with all 3 coats! oops! So you can tell the difference in 2 and 3 coats there. 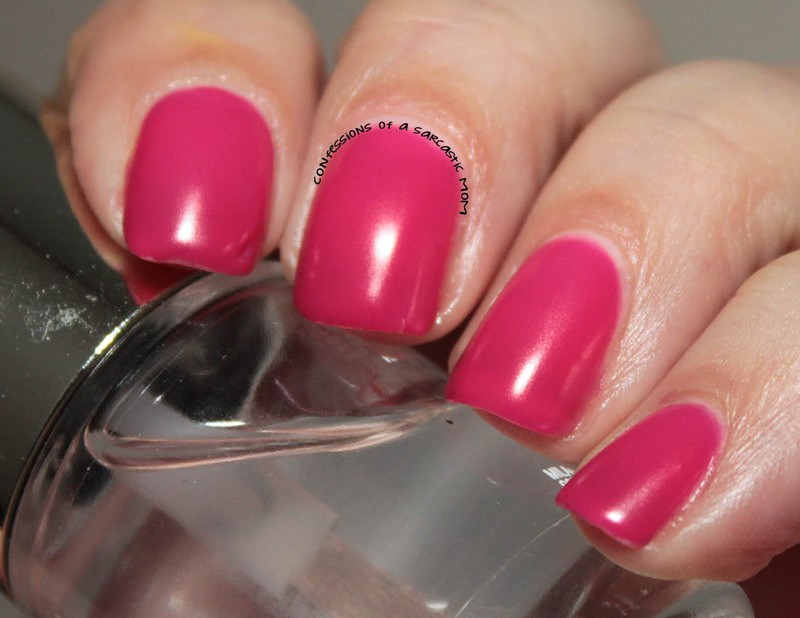 But the polish is a beauty! Last, but certainly not least, is Lemon Drop, a gorgeous bright yellow. This is a super formula for a yellow. Companies are really stepping up lately with yellows. Previously, yellows have had a reputation for being hard to work with. But the past few yellows I've had have been the complete opposite! I am simply in love here. These puppies are 94 cents! 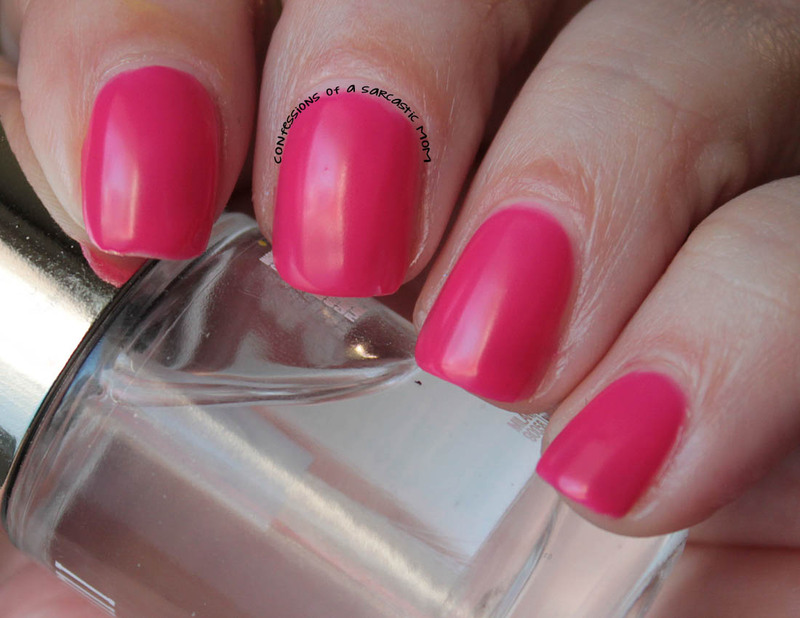 They are minis - and they can be found at Sally Beauty, usually in their own display near the registers. I recommend every single one of them!